There are no reviews for Free World yet. You can write one. 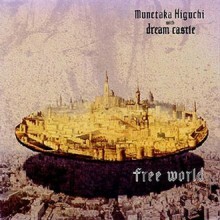 Full release title is Munetaka Higuchi with Dream Castle - "Free World". Tracks 1 and 10 by Munetaka Higuchi and Ty Tabor. Track 2 by Jeff Pilson. Tracks 3, 7, and 9 by Munetaka Higuchi. Track 4 by Steve Vai. Track 5 by Munetaka Higuchi and Hiroaki Matsuzawa. Track 6 by Billy Sheehan. Track 8 by Stevie Salas. Recorded at Total Access Studio, Redondo Beach, CA.